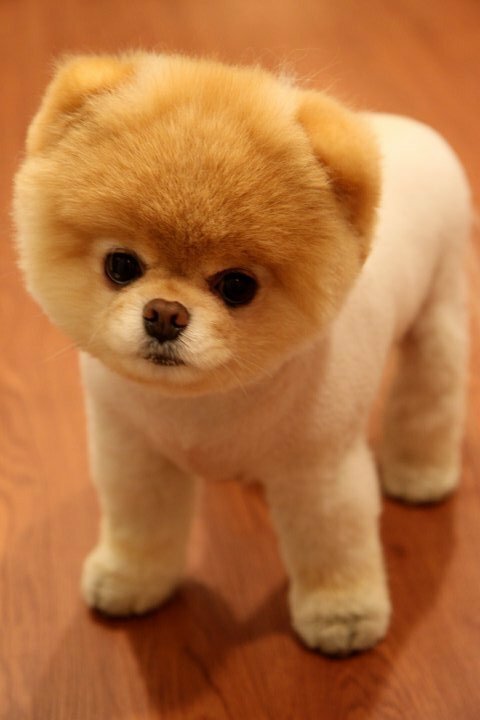 Meet Boo, the world’s cutest dog. This is not a judgment call, but actually a trademark. Not only is Boo (actually, his owner) an intellectual property rights holder, but the little dog is quite popular. This 6-year-old Pomeranian has product endorsements and his own line of toys. His stuffed animal, modeled after him, goes for about $20. He has 5.5 million fans on his facebook page, about half as many as international icon Madonna. His page says, “My name is Boo. I am a dog. Life is good.” His favorite foods include chicken, cheese, flowers, grass and dirt. Most interesting about Boo’s life is that his “mom” has never sought fame or fortune for herself. She keeps the spotlight strictly on Boo and refuses interviews. It’s safe to say Boo is making his “mom” a boatload of money, and yet she remains as low key as possible. Whatever her reason is, she sure has learned to turn her animal property right into quite a substantial money making enterprise. Love live Boo. Reblogged this on Inspirational Photography.